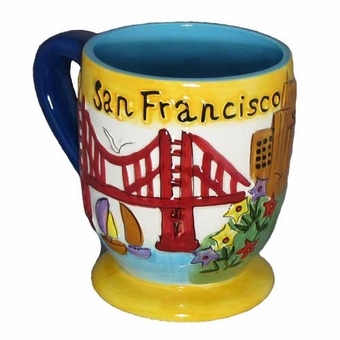 This San Francisco souvenir mug is part of our "Yellow Puff" series. We call it "Puff" because there is a 3-D relief feel in the hand painted parts. Whether you're a morning person or a night owl, you'll enjoy sipping hot beverages from this warm yellow 12oz mug.